I come out here on sunny days during the rest of the year - often wrapped up warm with coats and scarves against the elements. I leave the parasol in situ all year round - just on the off-chance, although it's sometimes more of a rainy day umbrella. It feels fabulous to be able to take up my al fresco lifestyle every time the sun comes out and there's just a smidgeon of blue sky. 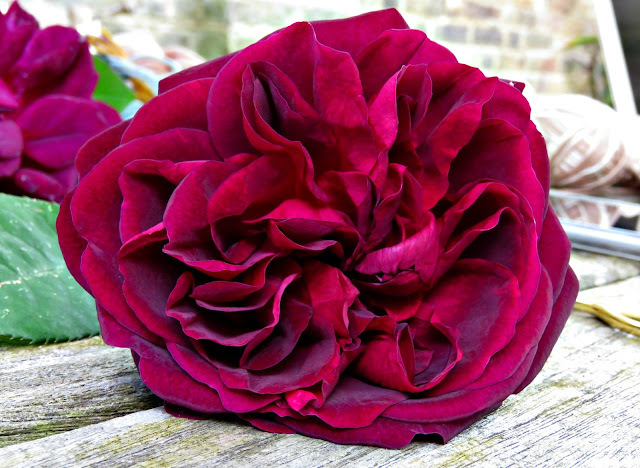 Today I've been busy snipping some of the blooms from my lovely Munstead Wood Rose to make pot pourri. You can read all about my pot pourri recipes and method here and here. I've not used this rose before, but with its great fragrant flowers and voluptuous deep red petals I've got a feeling that it's going to be a corker. I have written about this rose before (a lot, sorry! ); it really makes my heart sing. It's got a great big old-world smell that combines with velvet petals to be everything that a rose ought to be. I've also harvested some sweet woodruff for my pot pourri today. It's a wonderful little herb that I bought for a number of different reasons. 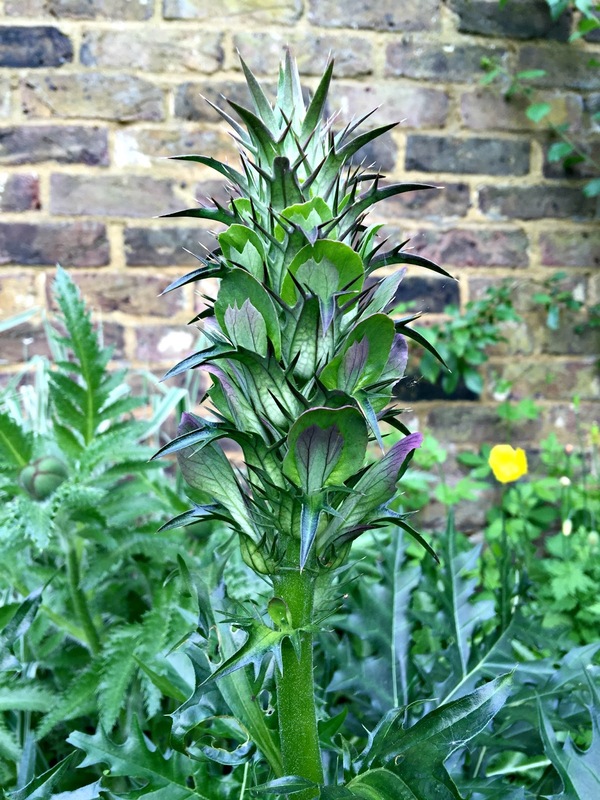 I'm fascinated by herbs, always have been, and like many of that ilk I've got a one-of-every-variety approach to planting them in my garden. 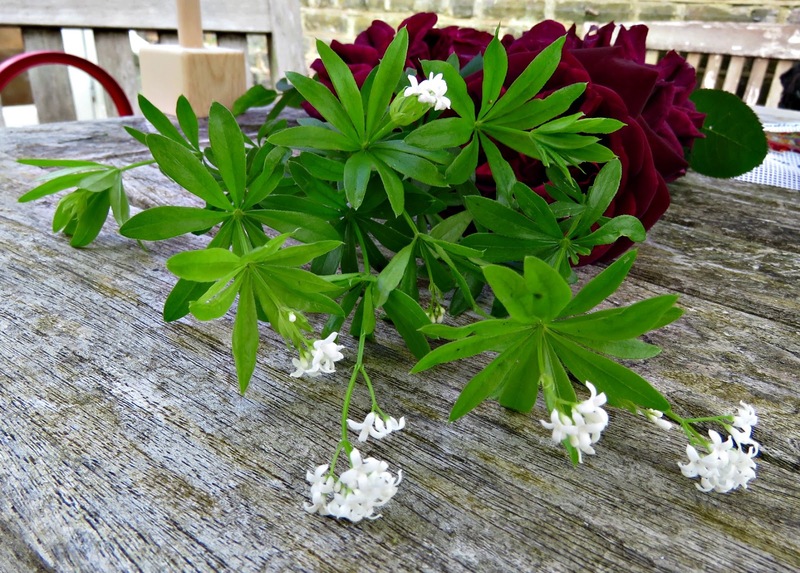 Sweet Woodruff arrived, if I'm honest, just because it ticked another box on my list, but since then I've come to value it for ground cover. 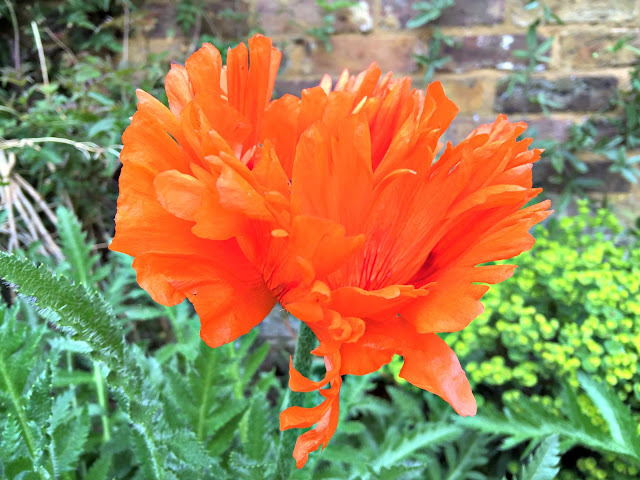 It grows happily in the shade, and its glossy green leaves not only look attractive, but help to keep the weeds under control. 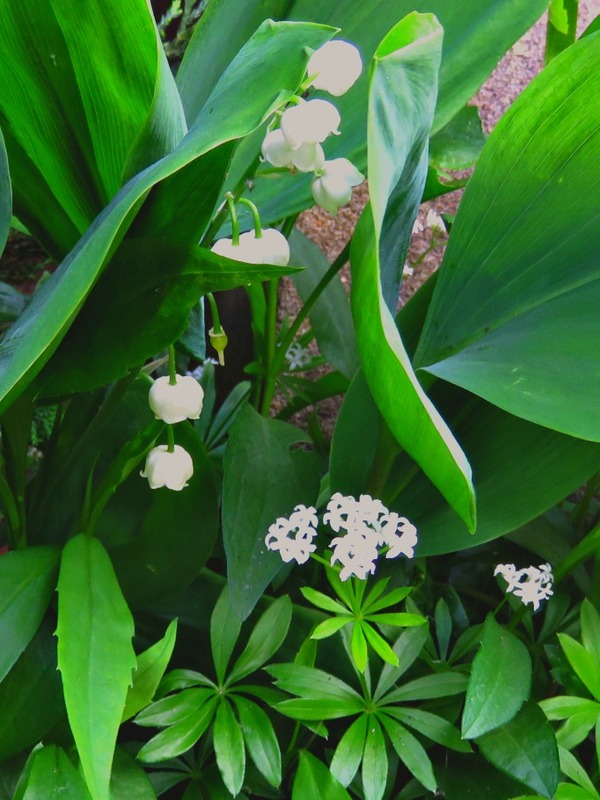 In May it produces small white flowers, which look lovely with the Lily of the Valley which is also in flower at the moment. I've got the two of them growing rather charmingly together at my front door. When you harvest fresh woodruff it doesn't smell of much, but when it dries out it has the light aromatic smell of freshly mown hay in a summer meadow. In the old days they used it as a strewing herb to spread around on the floor and release its wonderful scent when people walked on it. It's also been used with lavender to store linen and repel moths. 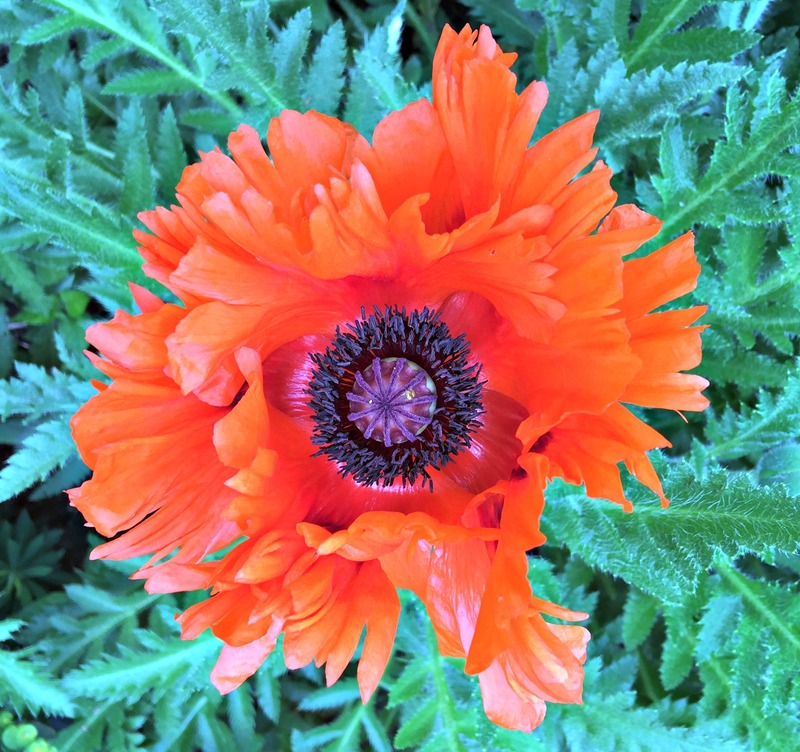 The other fixture in my outdoor office that I'm particularly enjoying at the moment are my Oriental Poppies. My mum gave me a few roots of these last year, and they've grown beautifully in my borders. 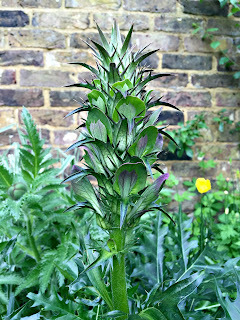 They're such dramatic, striking plants from their silvery foliage, to their great fat buds and amazing bright red flowers. I'm planning on trading her an Acanthus this year. Mine seem to have multiplied so I'm in the happy position of being able to dig one up for her. I hope she likes it. And it's very exciting because Emi, the WonderDog and I have a big road-trip back to Ireland planned for Friday. Emi's been working really hard for his end-of-year exams, and when school breaks for half term on Thursday we're all set to blow town. Yeah! Let the easy summer-living begin! 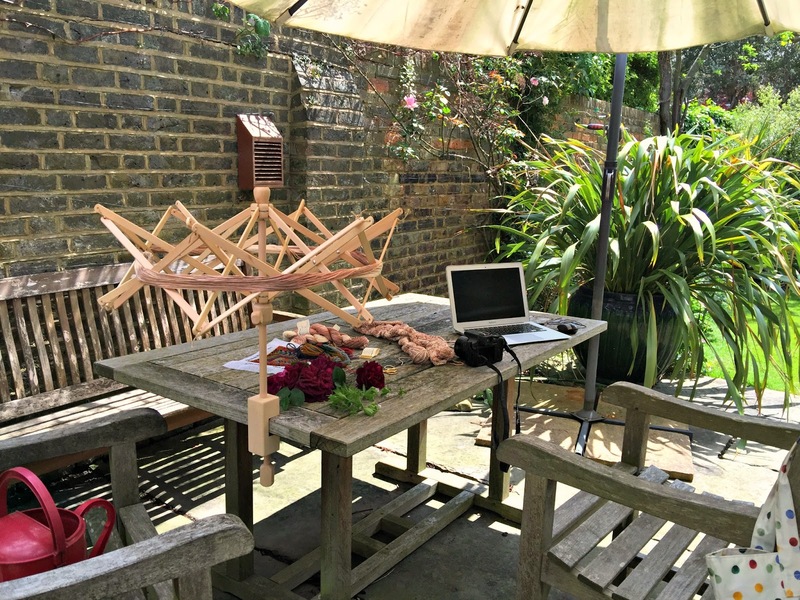 Your outdoor office is awesome. That rose looks so gorgeous. I bet your Potpourri smells awesome. Wow a trip to Ireland, I wish I could go with you.